The Grant Academy believes in a whole brain approach to learning. We utilize kinesthetic, visual, and auditory elements so all types of learners can achieve success. We teach to the students levels and help them achieve their academic and social goals. We believe in using a hands-on approach to learning and incorporate field trips, speakers, and projects to bring learning to life. Individualized Education Plans (IEP) will be updated every nine weeks, instead of yearly. The team will meet and go over the academic and social goals. This insures that the IEP is appropriate. If the IEP goals need to be changed, they will be changed immediately instead of waiting until the end of the year. Reading is an essential component to the curriculum at The Grant Academy. We use the Orton-Gillingham method which teaches language to students using a multisensory method. The teachers use auditory, visual, and kinetic elements for optimal learning. Metacognitive strategies are taught and encouraged so that reading becomes a thinking activity. Finally, skills are constantly being reviewed and new material is introduced systematically, students experience high rates of success. We use Linda Mood-Bell Verbalization and Vocalization Program to help improve language development. Language arts classes focus on language skills such as reading, writing, and speaking language. In oral language, students cover a variety of skills including following directions, vocabulary development, and public speaking. As students progress, their focus in reading class transitions from decoding words to comprehending increasingly more complex narrative writing, and the language arts teacher will reinforce the reading in the language arts class. In language arts classes, students will cover spelling, grammar, and composition skills. Students begin at the word or phrase level and progress to writing essays and research papers. A multisensory approach is used to help students achieve success in writing. Concepts of math, the language of math, and calculations are an important part of our curriculum. Following the tenets of the Orton-Gillingham approach, The Grant Academy uses manipulatives and technology to present new concepts in a visual, auditory, and kinesthetic/tactile manner. We use touch math to help students learn using a multisensory approach. This hands-on, multisensory instruction helps students understand and retain the underlying mathematical concepts. Topics are presented incrementally and reinforced with continual review. Students study topics from the major realms of science (physical, life, and earth science). The Grant Academy teaches STEM (science, technology, engineering, and math) to enhance science education. The school uses technology to complement a multisensory approach to the experimental model promoting effective science literacy. We have a science lab to bring learning to life. Field trips to promote learning in science are planned for students. The Grant Academy is committed to developing the physical and mental well being of each student. All students participate in physical education classes every day. 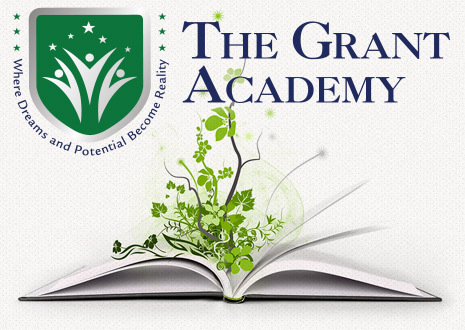 The Grant Academy believes that every student should be exposed to an array of educational opportunities. Art and Music are both an integral part of our curriculum, in all disciplines. We want our students to appreciate the arts. Students are allowed to express themselves within the arts while enhancing their learning. Art and/or music are used daily as teaching tools throughout the curriculum. Technology is an important aspect of the world we live in. It has become an integral part of our daily lives, in everything we do. We believe that technology should be incorporated in the curriculum in a variety of fashions so our students can be exposed to it as much as possible. Technology is infused into all of our curriculum in fun and innovative ways to excite our students and provide ample opportunities for them to become proficient in it.